Welcome 2011!! Let's all start the new year off right and really GO GREEN!! What do I mean by "Going Green", you ask? I mean: BROADEN YOUR HORIZON'S, OPEN YOUR MIND, and TRY some new Eco-friendly products, not just cloth diapering! Lastly Tips, Tricks and ideas to help you start your new year off right!! Who will participate? 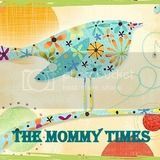 Karen from Mommy Times will be heading up the event and I have the pleasure of working with Katie from Diary of Momma, and CJ from The Mommy Blog. 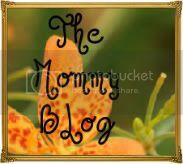 These blogs are fabulous and work hard to promote Eco-friendly products. There will be opportunities for extra entries coming up soon!! Each blog will host at least one GREEN giveaway! Stay tuned for more details and if you would like to be a part of this FABULOUS event please email me at bwneyes100@hotmail.com I would love to add you to our list!! This event will kick off on January 24th and will end on January 28th! There will be lots of great GREEN sponsor's! You will not want to miss out on this!! Post here for extra entries by tweeting this event and make sure you are following all blogs. Grab My Going Green Button! Complete these EXTRA ENTRIES BEFORE January 24th and leave me your individual comments. I will count this per giveaway I have. Placed your button on my blog!